Web design is one of the fastest growing sectors on the web because websites have become phenomenal for business survival, development and growth. 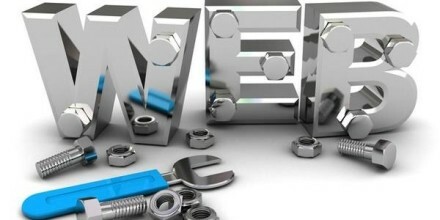 The same way the sector has grown, so has the technology used to develop websites. For websites to come fruition from conceptualization to completion, you need to have tools to facilitate the process. And even though many such tools exist, only a few can be considered great. This article looks at the top six tools used to support technology that develops and designs websites. Duplicate content is one of the worst things affecting web development and online businesses. It can negatively affect the website’s SEO and online reputation. As a developer, you need a tool that will ensure your website has original content. Plagspotter.com is a tool that allows you to spot plagiarism in the website content to the phrase level. This makes it an important tool for the web development process. This is one of the most popular commercial web design tools you will find phenomenally great when you are developing websites. It is an effective raster and graphics editor used on both Mac and Windows operating systems. Unlike Photoshop, this tool is specially made for web designers and developers. Its slices, which enable you to easily manage design mock ups, CSS/HTML, make it such a must have on the list of top web design tools. This shareware development tool works with the Mac OS X operating system. It reduces the number of applications you need to monitor development; FTP client, CSS editors, etc. With a tabbed interface, text editing and other functions in the development processes are integrated and faster. Though not available for windows applications, this tool is the best you can have for web development project management on the Mac OS. This is another great web development wizard every developer or designer needs to be acquainted with. Dreamweaver works with both Windows and Mac. It cuts across code highlighting, design and syntax detection which make it a power suite for developing websites. It also has excellent project management and workflow management features you will not find on many alternative web design and development tools. Its integration with other Adobe tools like Photoshop is classic and this makes the smart objects integration simple, and fast. You cannot claim to be a web developer without Firebug installed. This open source tool is an in-browser web development tool created for use with Firefox. It also works with excellent with HTML and CSS tweaking and debugging. This allows you to investigate how different tools and elements you implement in the development process work. This helps you monitor changes for the development process. Photoshop is a commercial graphics editor you can depend on for all your web development needs. This tool is also one of the most popular ones on the market. Designed and created for professional designers and photographers. This tool has all the features you need for the different photo imaging and editing features like Filters, Brushes, Actions and Scripting.